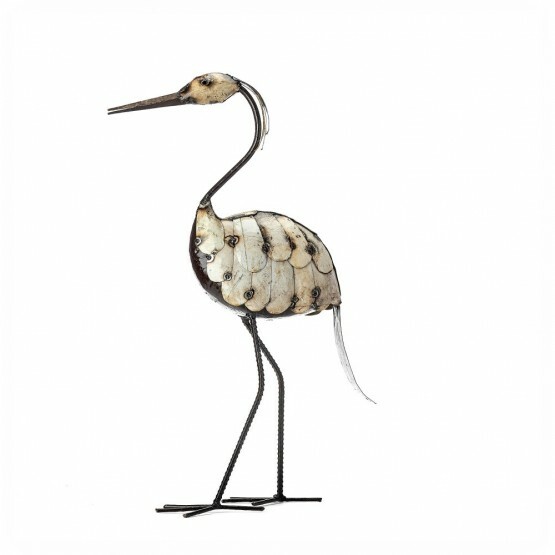 New to our range, the white Egret has a bold yet graceful presence in any garden setting. 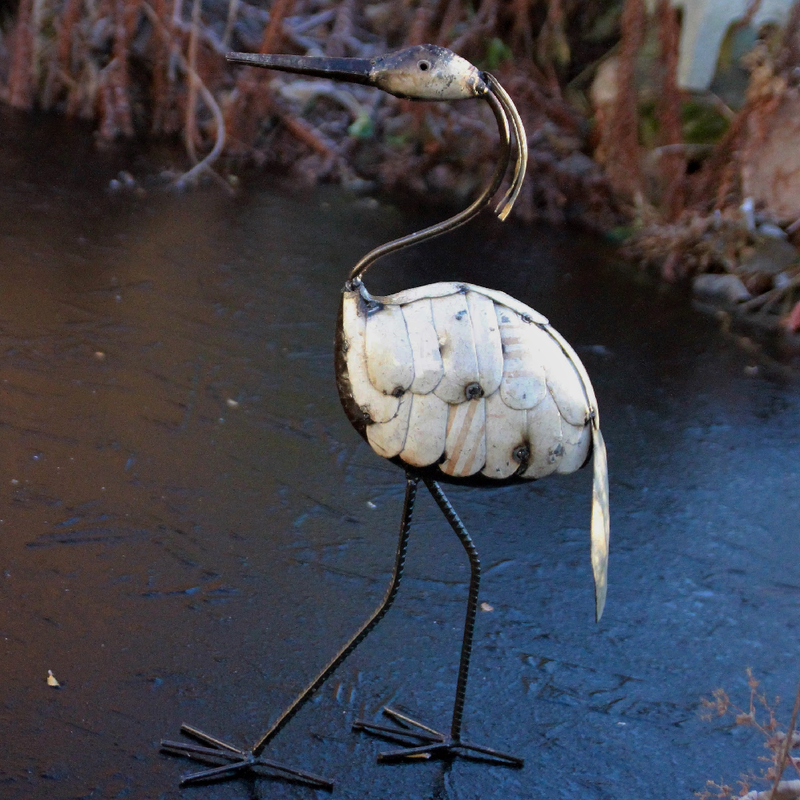 It's hard to believe this elegant water bird was made using reclaimed panels from fridges and washing machines! 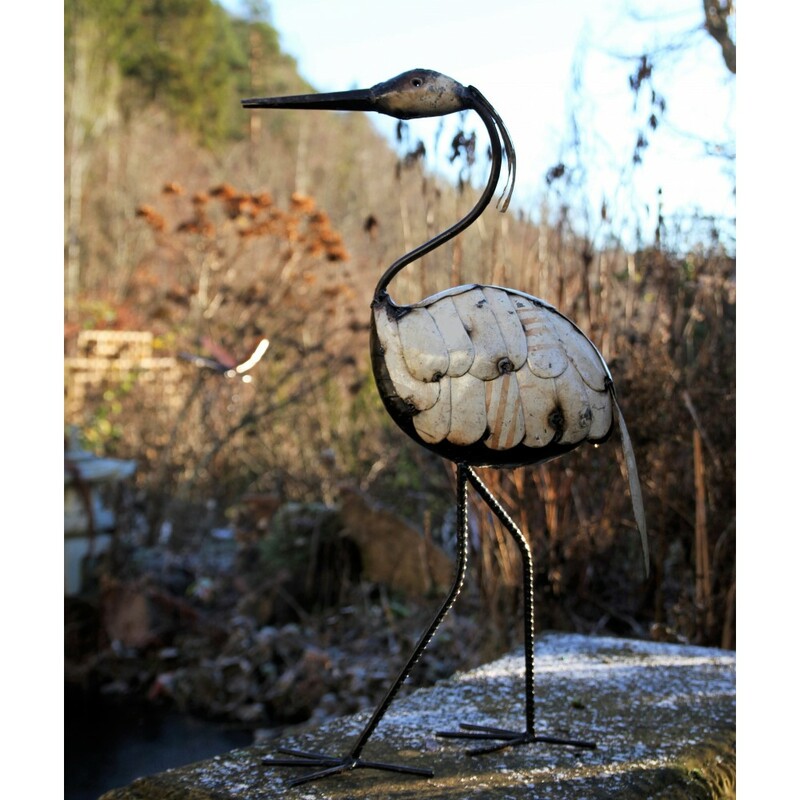 Measuring approx 70cm high & 12cm wide.